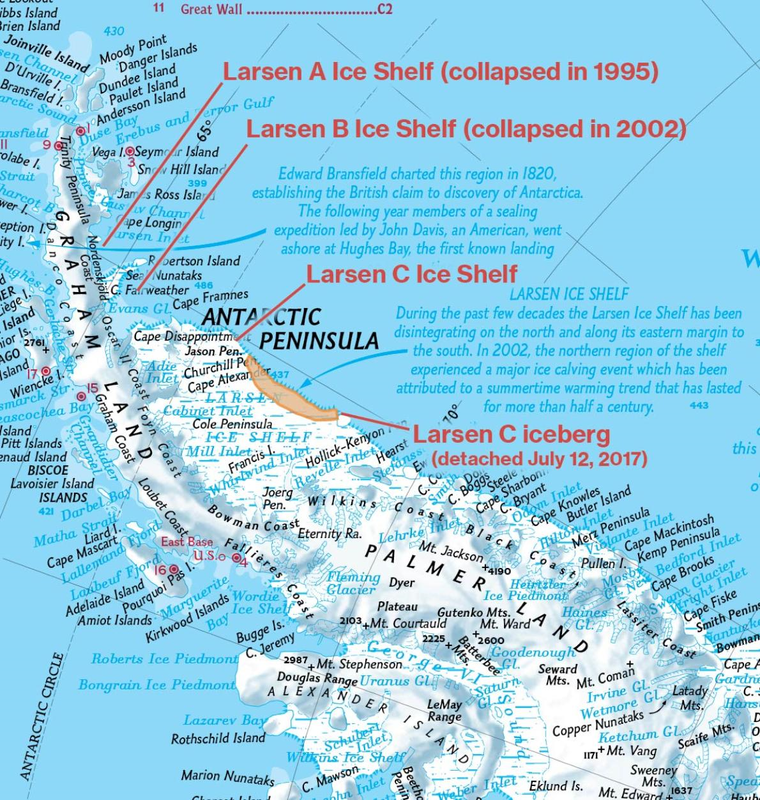 The Larsen C Iceberg (LCI) broke away around July 12, 2017. To be honest with you, I should mention that I invented the name, Larsen C Iceberg, and actual date and time of its calving can’t be determined with any certainty. Nonetheless, it had moved a couple miles away from the Larsen C ice shelf by July 19. While not an expert in anything scientific, I did take geology while in college, which is the only science class that I ever took in college, graduate, and post-graduate education. Again, I wanted to be upfront with you about my knowledge base in the scientific world. Nevertheless, it hasn’t deterred my writing about science. I have written a number of essays about the Big Gang, which began the universe approximately ca. 14-billion years ago. I find it difficult to grasp what is a billion years. I can’t really comprehend the length of 10,000-years. Larsen C Iceberg is what scientific gurus consider one of the handful of the largest icebergs known to human beings. This next item is almost as difficult as dating the Big Bang. Those in the know claim that ice contained in LCI would cover all 50-States with about 4.6 inches of ice. 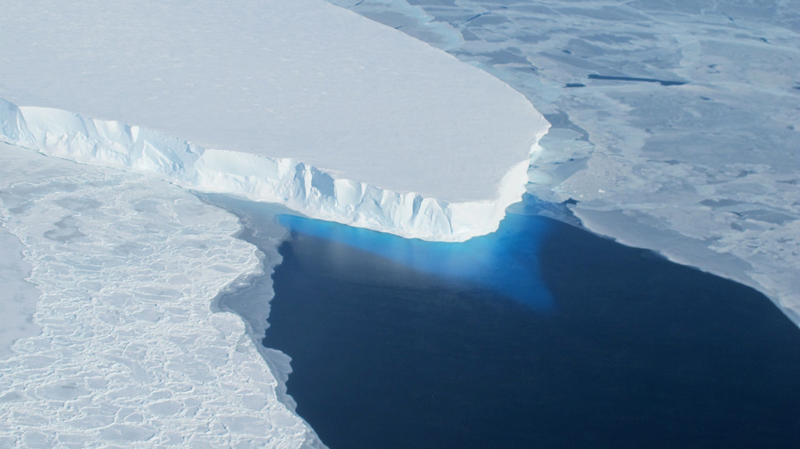 Scientists calculate that this iceberg is loaded with roughly 1.1 trillion tons ice. They also estimate that it is 2,200 square miles or about the size of Delaware and contains 2x the volume of water as Lake Erie. Essentially, this means that LCI is large. Interestingly, ice shelfs are vulnerable to breaking off due to rising sea levels around the world. As the sea rises, it puts pressure upon the bottom of the shelf upward. If the sea continues to rise, the pressure from under the ice shelf will brake parts off the shelf. However, the breaking up of the Larsen C ice and the eventual melting of LCI will not create a great deal of concern among oceanologist. However, there is a great deal of concern as it relates to the Thwaites Glacier, which is located in West Antarctica. 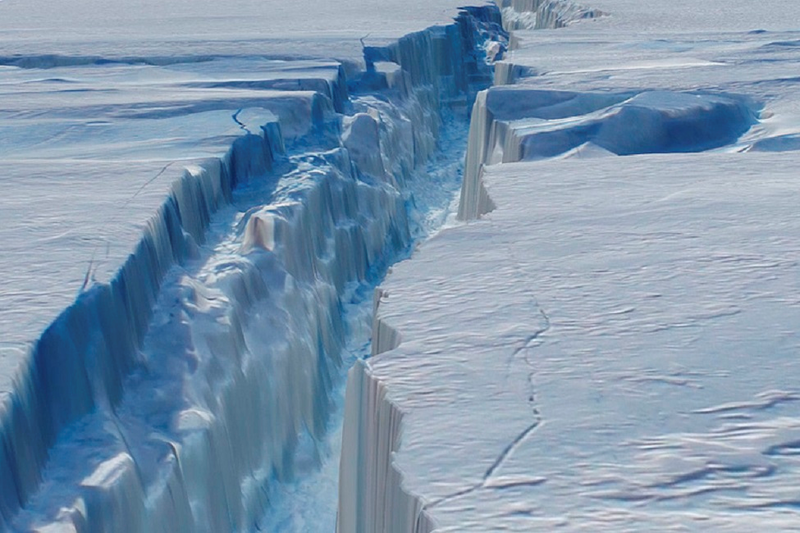 If the Thwaites Glacier breaks off like LCI did, it will cause the world’s sea levels to raise by 10 feet. 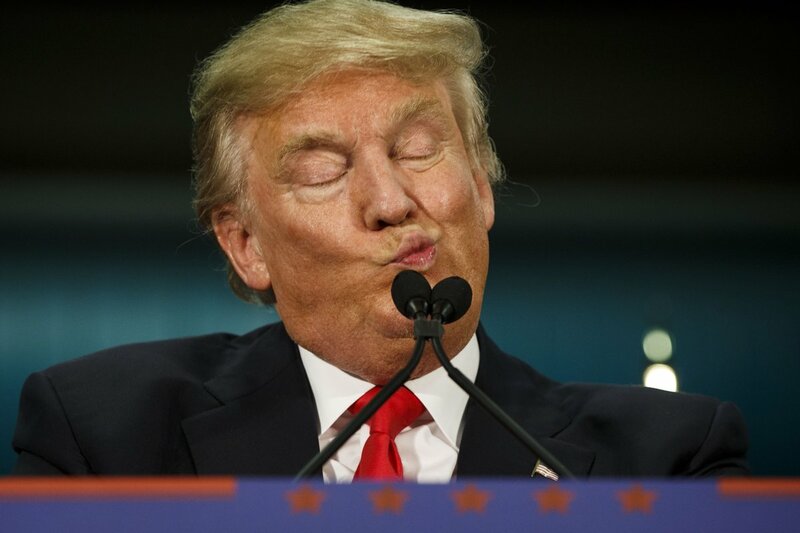 Now, when Donald the Dumb gets wind of LCI or Thwaites Glacier calving, he will say that it is a Chinese hoax.